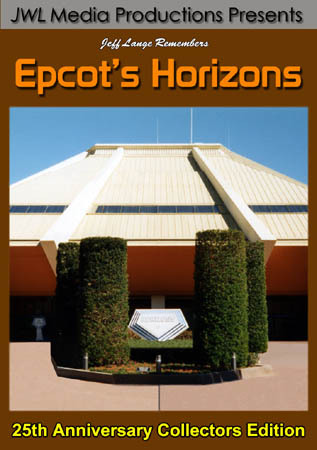 « Photo Memories #10, Epcot Center's Horizons Pt 2. 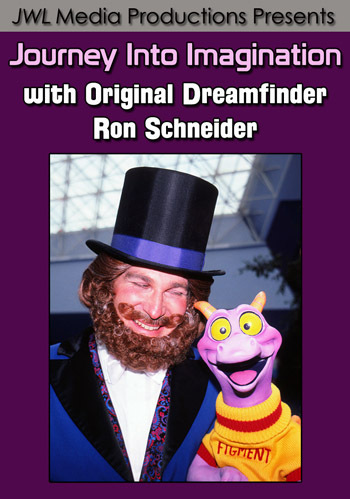 Jeff Lange Remembers Epcot's Horizons 25th Anniversary Collectors Edition Released Today. Horizons 25th Anniversary Collectors Edition Released Today. Jeff Lange Remembers Epcot’s Horizons 25th Anniversary Collectors Edition. attraction Horizons, Presented by General Electric. station Brava Centauri plus the original General Electric exit displays. Travel to the desert farm of Mesa Verde. Visit the Sea Castle research base. references to General Electric have been removed. 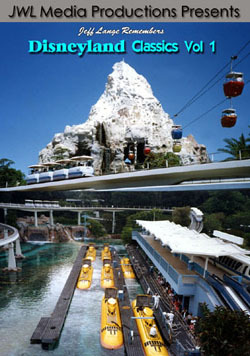 the first time by purchasing ’Jeff Lange Remembers Epcot’s Horizons’. 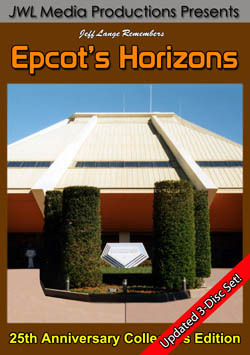 Companion Collection DVD, Epcot’s Horizons. and the original General Electric exit displays. Complete ride thru with extended que footage. 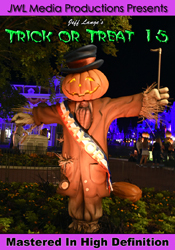 Complete ride thru edited from multiple recordings.